On request of some many avid readers of the blog and so many like-minded travellers seeking guidance for their tour to Leh – Ladakh, I would like to sketch below one of the most common itinerary followed by many of Leh – Ladakh lovers including me which covers all three major tourist destinations of Ladakh including Nubra Valley, Pangong Tso Lake and Tso Moriri Lake. Download your FREE high-resolution version pdf copy of this Leh Ladakh day by day plan infographic guide. If, you liked it and found it helpful, please feel free to share it with your family and friends to help them too. Why to travel Ladakh from Srinagar side? I have started from Srinagar side because it gives at least two benefits, if not more. First, the body gets better acclimatized due to gradual ascent by the time you reach Leh and when you return from Manali Leh Highway, hence fewer chances of getting stuck with Acute Mountain Sickness (more info on AMS) and more enjoyment of views on Manali – Leh Highway. 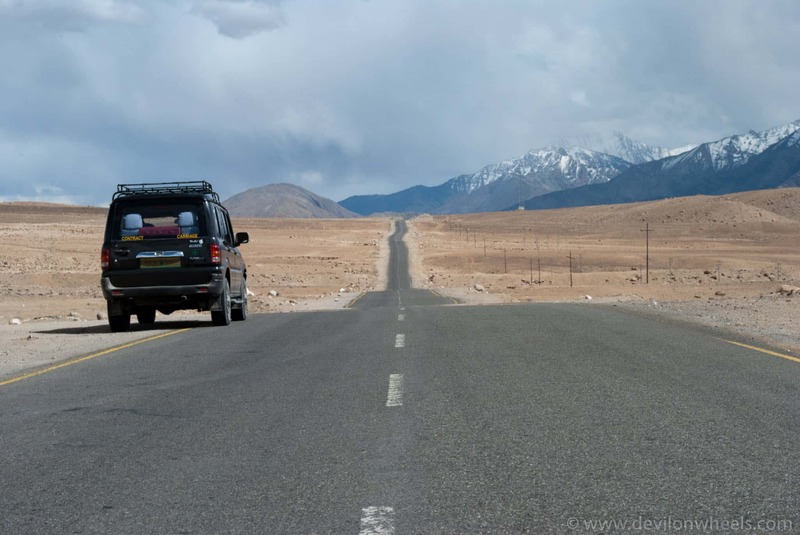 If you start via Manali – Leh Highway then most of the terrain runs over 4000 Mtrs of altitude and by the time you reach such altitude your body is not properly acclimatized. Hence, many people fall sick on Manali – Leh Highway despite covering in 25:75 ratio (Manali – Keylong, Keylong – Leh) in terms of distance. Secondly, you save one day as Tso Moriri and Tso Kar Lakes can be adjusted once you start towards Manali from Leh. This way you are not required to return to Leh from Tso Moriri to go towards Kargil or Srinagar. Finally, you need to get inner line permits to travel to Tso Moriri which you will not get when traveling from Manali side. The permits need to be stamped in Leh Information Center or Leh DC office. Looking for an itinerary for Leh Ladakh trip? When you plan for Ladakh trip, it is better to plan the trip with a good number of days in hand. Cramming too many places in Ladakh trip does not make any sense because you will not enjoy the real beauty of the trip. Hence, I have kept about 12-14 days for this common itinerary of Ladakh trip. Check the Leh – Ladakh taxi union rate list 2018 – 19 including the contacts of some reliable taxi drivers within Leh – Ladakh. You can get about 12-15% of discount by directly getting in touch with drivers and of course, talking in person rather on phone always help in bargaining more. | Buffer days to be kept in case of road closure due to landslides or snowfall or perhaps you want to enjoy more. You can save a day by making a direct trip to Pangong Tso from Nubra Valley as suggested below. Take the direct route from Nubra Valley to Pangong Tso either via Shyok village or Wari La pass whichever is open. In the last couple of years (as of 2018), the direct route between Nubra Valley – Shyok Village – Pangong Tso has been stabilized a lot. It is not that desolate in the season anymore as it used to be a few years back. A lot of people do this route nowadays, so it should be fine for you to do that route as well. Just enquire at Agham village on the safer side or wait for a couple of cars to tag along on the route. About 6-10 Hrs drive, depending upon the breaks you take in between and route you take between Shyok and Wari La. Alternatively, you can also make a day trip to Pangong Tso (if Shyok village and Wari La pass routes are closed) as below but that makes it a bit in case. Make a Day trip to Pangong Tso via Chang La Pass. About 8-9 Hrs drive, depending upon the breaks you take in between. You can also make a three day trip to Nubra Valley so that you can spend one night a beautiful village Turtuk and remove rest day at 9 or add one day to above plan to visit Turtuk. I bet, you will not regret at all visiting Turtuk in Nubra Valley. In Srinagar, you can also visit Floating market > Shalimar Garden. For accommodation, check the nice, preferred list of accommodation options in entire Leh – Ladakh (Leh, Nubra Valley, Pangong Tso, Tso Moriri) including moderate and cheap budget hotels. I hope this plan or itinerary for Leh Ladakh from Srinagar side will be useful for travelers planning their journey at least for the first time. I will look forward to any questions or doubts or valuable suggestions and inputs you have and would love to discuss your custom plan as well in the comments section. You can share your valuable suggestions and inputs you have or if would love to discuss your custom plan as well in the comments section as well. If you want any customization or deviation from above plan, feel free to ask any questions and in case you know a friend who is interested to travel Ladakh from Srinagar in such a plan, feel free to share the article with them. Very comprehensive. This excludes the Zanskar valley. What would be the suggested itinerary change if that also needs to be included. Would it be a good idea to reach Srinagar by flight and then travel by road ? Thanks for the prompt reply. On the taxi related rules – i hope there would be no problem if i have a car rented from Delhi or elsewhere for the complete trip, or if I am having a zoomcar or my own car. Your information is very useful for me, a 1stimer to Leh !!! Thanks ! Pls advise if it”s ok ! Day 2 is required at Leh for acclimatisation. One day is not enough. This plan looks too hectic. Hall of Fame at Leh is must visit, without which your trip is incomplete. Turtuk to PangongTso in one day is feasible only through Shyok/ WariLa route, but you will have to check if this route is open. You are stretching yourself a too much with the trip. I along with my parents are planning a road trip to srinagar from delhi. we will start from delhi on 15th early morning. We wish to be back to delhi by 24th sep. In this time frame is it possible for us to cover drass/kargil? If yes can you suggest an itinerary? What kind of weather can we expect there? Hoping to hear from you..
Rene, are you just visiting Srinagar or visit Ladakh as well? If you want to just visit Srinagar and other parts of Kashmir, then yes it is possible. Thank for prompt reply. I really appreciate that. Initially we planned for Leh Ladakh but had to drop it because of time constraint. So now we have limited days i.e. 15-25 sep. and we are mainly visiting srinagar. But I want to take my parents to Drass and Kargil. The plan you suggested seems good. I will reach to you for any further help and request you to help me as I am chalking out the plan all alone with no travel exposure. First of all many thanks for such a wonderful and informative blog. – Is it wise to book all hotels for all (12 days) in advance or is it fine if we directly reach to the destinations and search for hotels? September is not a peak season and you can travel to Ladakh without much issues without any bookings. You will be able to find them on the spot. we too are planning leh ladakh trip in mid september from Delhi. Have you finalized your trip? Seems, wonderful, let me know incase you guys have questions on planning the trip to Ladakh or your itineraries. HI Sir This is Ahmed we are travelling in Aug last week. we will start from Delhi and our tour is for 10 to 12 days. 1) From Delhi its good to start from Srinagar then Leh manali and all or we should start from Manali. 2) We are 6 frnds and we want to hire taxi from Delhi to cover all the places how much will be total cost if we hire from Delhi to Srinagar Leh Manali and all and coming back to Delhi? 3) Kindly suggest few places where we should go by bike coz we want to explore the places by bikes? 4) What will be the approx. cost including Rental car, Bikes in few places, Budget hotels and meals for 12 days? places will Start from Delhi and cover Manali leh Ladakh Srinagar kargil and all places which we should go? 5) Kindly suggest the best route map to cover max places which are worth and duration we should stay there? No, the roads from Manali to Leh gets closed by mid to late October nowadays. Hi Dheeraj….This is our plan…..
Rest you are just being on road mostly not soaking in except Turtuk. Hi Dheeraj…One more clarification pls…We got a rate of 65k for innova to cover our entire trip(srinagar-leh-turtuk-tsomoriri-jispa-kaza-nako-tabo-shimla)..is this rate fine…some says its high.. This plan is not doable. I recommend that you study the geography and topography od Ladakh and Spiti Valley. Also, only JK10 registered vehicles are permitted in Ladakh, so be sure that the innova you are hiring is JK10 registered. Innova for 65k for the entire trip. There is something amiss. Please check again. The information and tour plan you have shared is awesome. Even I am planning for the similar type of tour. Please let me know how viable is the below mentioned plan. I am planning to transport my 2010 model CBZ Xtreme (90000KM Driven, which is well serviced) to Delhi and start the journey from there. Even let me what need to be checked with the bike as this my first bike trip.Please let me know at what places fuel is available and what kind of possible vehicle break down might happen. Actually I am planning to reach Delhi from hyderabad on 16th June by train and on the same day start for Jammu. Day 5: Leh sightseeing, inner line permit and acclimitization. Day 11: Manali to New Delhi. If possible please share me information about place must to see in the whole trip or else please share me any web links. You will have to carry the fuel with you if you plan to do above circuit. There are places where you get black fuel too. Please refer article above. Its my pleasure to thank you for giving amazing tips to make our trip easy. On 26th June morning at 9:55 I will be reaching Delhi and start my journey to manali on a public transport and will be reaching Manali in early morning on 27th June. From there only I am going to start my bike ride following the same itinerary suggested by you in this top of the page. And I have to end my bike tour in manali 0n 8th June evening and need to travel to delhi by public transport and next day evening (9th evening 3:00) I have to get my flight back in Delhi to Srilanka. So, according to given period, kindly adjust your itinerary according to my period and suggest me a good plan. 8th – Reach Manali and take the evening Volvo back to Delhi from Manali. Problem is, i am going to Srinagar via Pathankot from Manali in the bike. from srinagar to Leh and Leh to Manali on the same dates above mentioned. Please revise your suggested itinerary plan according to this and send it to me for my convenience. Our driver-thanks again as we got his contact from your suggested list- said travelling direct pangong to tso moriri won’t be possible as the road has been closed. And he suggested this plan. 2 day: Leh to nubra, hunder stay. 4 day: Nubra to pangong via shayok and pangong stay. 5 day: pangong to chumathang stay. 6 day: chumathang to Tsomoriri and back Leh. 1. So is it possible to travel direct from pangong tso to tso moriri instead of long chumathang route? 2.On day 6, other couple is planning to head leh along with the cab and fly back while two of us wana go ahead via manali route. So would we able to get public transport or tag along with other grp till manali. I read there is HPTDC bus operating from leh to manali, but for that do l have to come back to leh from tso moriri or can join keylong/jispa/sarchu? It is better for other couple to return to Leh on Day 5 because it does not make sense to travel to Chumathang and return. 2.I m confused, do u suggest to skip travel to tso moriri. And leave for manali from Leh by HPTDC bus after coming from Pangong ? Or Is there any other way. Can we find info about HPTDC buses anywhere. Like do they operate everyday now and do the bookings. Because I read couple of years back it used to operate alternate days. No, I am saying that the other person who will come back to Leh, should not go to Chumathang. I believe you are going to cover Tso Moriri, come back to Leh and then from Leh will take bus to Manali? HPTDC will publish the details as soon as the road gets open. Ok, actually we are starting from chumathang in morning and head to tso moriri and then reach leh by night by car..car rental ends there..
And take bus to manali next day morning. So rather is there any way to reach manali from tso moriri if you don’t have a cab. No Ankit, from Tso Moriri in case you have personal vehicle or hire the taxi, you cannot reach Manali by public transport. I am from Singapore and have 13 days to travel around Leh on a motorbike trip this September, would the following itinerary be comfortable? Franz, I will recommend that you focus on Ladakh only ad skip other places for some other time. 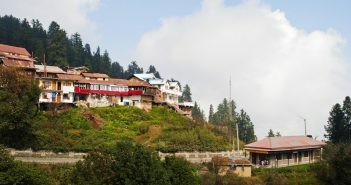 Also, it is better to fly to Srinagar and then go to Ladakh and after covering Ladakh go over to Manali – Dharamshala. 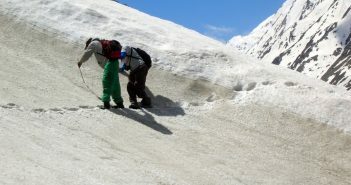 This way it helps in acclimatization and better planning of the trip. Let me know if are unable to work out the itinerary from the plan mentioned in the article above. Day 13 + 14 | Buffer days to be kept incase of road closure due to landslides or snowfall or perhaps you want to enjoy more. 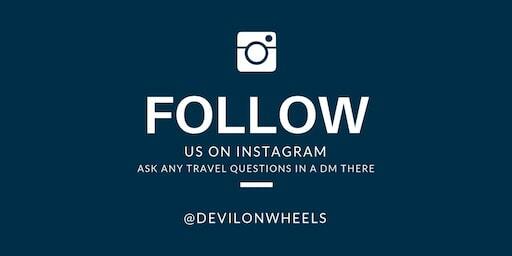 what would be the itenerary from chd to leh via manali… would be highly appreciate if u could share it. thanks. Most likely this year the road should be open. Srinagar – Leh is already open. Hey, we are also planning for a similar itinerary. May be we can catch up / plan together? Highly appreciated with your promptness. If i add one more day, where do i fit that day with what all other options i have to explore? I have started my preparation and following your great guidance and reading your website all day long. now i will be starting my journey from June 8th instead of May. now i am little scared on following option after going through the route details on : https://devilonwheels.com/tips-for-nubra-valley-to-pangong-tso-direct-route/ . Me and wife will be the only one and we will be going via a hatchback. Is it really advice able to do this route. Is there any other route which i should take to avoid any difficulties for us. Is there any better road which is available now in year 2018? or i should go back to Leh from Nubra Valley?? In a hatchback, this kind of route I will say not to take unless you are prepared to turn back because of some section that you could not cross. In last couple of years the road condition has been much better but I am not sure if you are ready to take up the chance. You should also wait for other vehicles to arrive and join them in a convoy so as to get some help. Else avoid the route and take conventional route to Pangong tso from Leh. Is it possible to do a day trip to Pangong from Leh as I want to avoid staying at Pangong due to high altitude area. Pls suggest as I will be travelling alone on my suv. Torch, Mobile chargers, Camera kit etc. Your plan looks similar to our most common itinerary and is good enough for enjoyable trip to Ladakh. The essential kit also is good. Thank you very much for prompt response Dheeraj, much appreciated. Could you please also help me with a tentative budget that we can keep in mind while planning for the trip including fuel, stay, food etc. It would be of great help. I am also interested in the trip but don’t have a group as of now. Please let me know if I can join you guys. thank you for your feed backs and forums regarding Ladakh tours. i am from kerala and am planning to visit leh-ladakh on the month of may 2018 (9 /5/218 to 25/5/2018) . we are confused about rotang pass and srinagar -leh high way opening time.please find our detailed the itinerary and comment! waiting for your valuable feed back. Well, your plan looks OK to me. I will recommend that you make a delay of one week for Manali – Leh Highway to open. could you please tell Approximate time srinagar-leh & leh- manali high ways open? And we are planning to travel in car.is it ok in this period of time ? Please check my Itinerary below and let me know if any changes is required. We are travelling in a bike. Give me some inputs if there is any hectic schedule involved and suggest me what to modify. Prem, the plan looks good to me. How is Nubra to pangong route now? Will you advise to that this route or come back to Leh? Now a days many people do direct route from Pangong tso to Nubra Valley, so it shall be fine. Unless people at agham village says otherwise, you can very much take this direct route. Dheeraj, I’m more worried about rain during July first week. Im not planning in June cos roads will not be good(as i read from your blogs). So Please let me know if July first week doable and how usually the weather in July first week (esp zozila)? when are you plan this trip? We planned to travel along Leh by June last week. Will be following exactly as per your itinerary. Got a small quiry that Is it possible to cover Nubra Valley to Leh via Pangong in one day?? Will it be hectic as we will be heading to Nubra Valley and stay over der, very next day will be headed towards Pangong and den to Leh from there on the same day. Is it possible?? Or worth enough to save one day??? 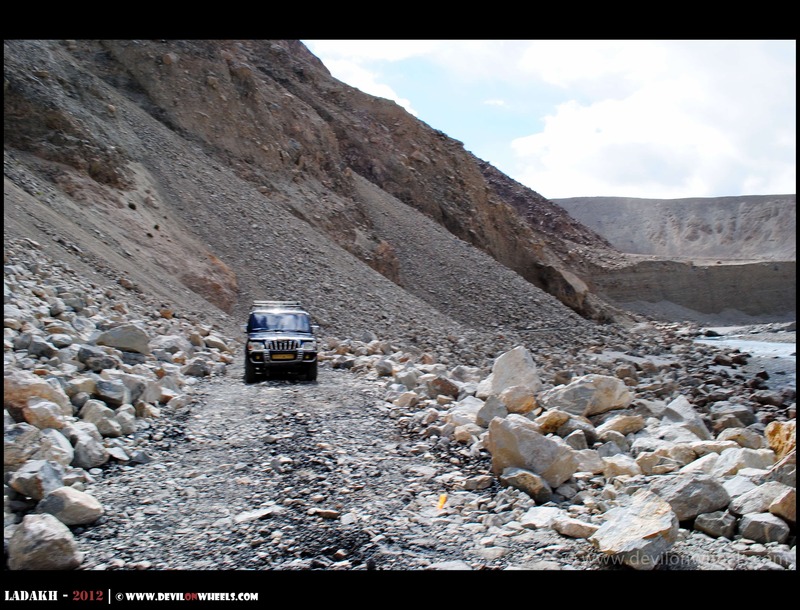 Furu, Nubra to Pangong tso to Leh will surely be hectic and you will not enjoy much. It is same as doing day trip to Pangong Tso from Leh especially from Shyok route. So it’s better to get back to Leh from Nubra. And den do a day trip to Pangong Tso. Will it be fine and easy to do a day trip to do a Pangong??? Furu, I will say add one more day to make it comfortable or stay at Pangong Tso. Then come back to Leh next day. Also advise if is it possible to reach Manali directly from Tsomoriri lake within a day. Which option is better for day 6 night stay per above itinerary? Leh (going back from pangong) or pangong itself considering next day is for tsomoriri? Well, if you go back to Leh, it makes it less tiring. Otherwise, if you stay at Pangong tso, you will need to make a 12 Hr journey on bumpy roads to reach Tso Moriri next day. Please note that Nubra to Pangong tso to Leh will be like 12 hrs journey and I see that it is already hectic. I will recommend that you drop to Tso Moriri lake visit. Rest at Pangong tso. Google maps show Pangong to Tsomoriri 208 kn (5.5 hours journey). Are roads that bad that it will take 12 hours? Yeah brother, do not follow Google maps for a trip to Ladakh, you may end up in a bad situation. Do not expect driving more than 20 KMs per hr on an average with breaks and all. So, 10-12 hrs it will surely take. We are planning Delhi-Srinagar-Leh-Manali-Delhi circuit. Will the itinerary be suitable? All of us are aged 27. We would not like to spend heavily on accommodation. approx 500-700 per night will be great and no problem in twin-triple or even 4 sharing rooms if there are any. Fuel and Driver Cost as incurred. 1) Are permits needed at any of thee places? 2) Are private cars not allowed at any of these places? 3) Any reason to not do a road or any alternate route you would suggest. We have 9 days in hand. So please do help us in getting this sorted out. The above plan is too rushed, does not take care of acclimatization. With that large group, someone may fall ill as the probability is high in large group. Permits are required, there is no rest in between and I am not sure if you have ever taken such hectic trip. Thanks a lot for your very informative website for ladakh first timers like me. Please find below our itinerary and let me know your suggestions. We have booked zoomcar for the entire trip and plan to hire bike at leh. Also considering no peak season we are not planning to book any stay now. We’ll explore once we reach there. Is it risky not to plan stay in advance? DAY 5	18th sept	Leh	Leh	0	Stay at Leh	Local sight seeing if possible	“DAY FOR ACCLIMATIZATION. Collect bikes, fill petrol in bike and jerry cans. I thought I would share my thoughts. Hope you don’t mind as I know you have asked for Dheeraj Ji’s inputs here! I am taking the liberty to express my opinions here! a. Looking at various hotel booking website like MMT and booking.com, it seems that there would be people traveling on that month too and rooms/stay options are flying off the shelf and getting expensive by the day! On the flip side, if you go for a home stay kind of arrangement, then you can definitely check them out when you reach there but I am more comfortable knowing that I have stay booked. b. When I look at your plan, everything seems to be in perfect order apart from your planned stay @ Sarchu which might not be advisable as most of the camps/cottages would close down by that time and then there would be very limited number of options available. The reason for this as per the camp owners is that it starts getting very cold out there around last week of September and sometimes the weather also gets very bad! I personally talked to 2-3 camp/cottage owners and all of them said that they would wind up the camping latest by 15/16th of September. Hence, I had to change the stay from Sarchu to Jispa which is further down and stay options there are easily available. You can reach out to me @ [email protected] for any comments that I have put above! In general, if you are OK with basic guest houses and home stays, there will not be any issue at all for booking on the spots. Your plan is well laid and comfortable. 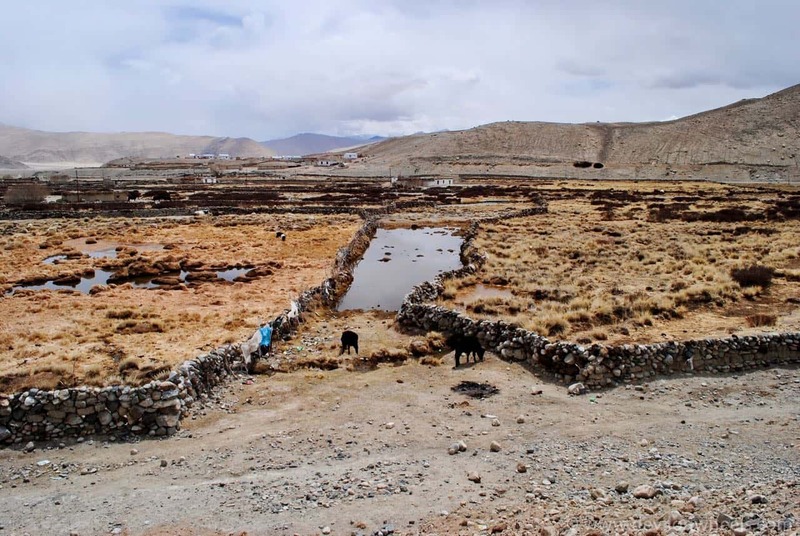 As Abhishek pointed in September, Sarchu camps starts to pack up and few properties remains. Nowadays road conditions are much better and Leh – Jispa can easily be done in a day. Since you are not booking in advance, take the decision to stay at Sarchu and Jispa on the day or a day before. Thank you so much for your valuable suggestions. 1. After after Pangong & Nubra is done with local bikes we plan to take our selfdrive/zoomcar to Tso moriri… then Jispa and back to Chandigarh via Manali. Will there be any problem if we take zoomcar to Tso moriri? 2. Can we take Zoomcar to Hanle? 3. Can we take Zoomcar to Turtuk? You can only take outside rented car to Leh and for all above places you need local Leh taxi. So here is what my Ladakh trip looks like… starting on 16th September and ending on 30th September. Do you think that this plan looks good? I am assuming that I have taken enough breaks in between for the body to acclimatize to the conditions up there! Let me know if there are any changes that you want to suggest! I would also welcome any feedback from fellow members here! You should use your buffer days and plan for Leh – Nubra – Leh in two days and then Leh – Pangong Tso – Hanle – Tso Moriri – Jispa direct trip. Rest your plan is very nicely laid out. Any specific reason why you would recommend doing Leh – Nubra – Leh? I was thinking that I could do Nubra and Pangong Tso Lake in one go and then come back to Leh before exiting out from there and covering Tso Moriri…. So I took your advice and have added a day in between to return to Let from Nubra Valley and then proceed towards Pangong Tso Lake next day. I guess that would be the best approach for me considering that this is my first trip to Ladakh. Yes Abhishek, you will have wonderful and memorable trip, I am sure. We will look for your updates. Just replied to the other comment. Given the number of days at hand, the plans looks fine to me. Great, thanks a lot. Feel free to post any further questions. We are planning for a similar trip starting from Chandigarh from sept 29-oct8. Is it a good time to visit? Will the roads(kargil-leh) be open during this period? Amit, the roads are open during that time but it starts to get cold especially in morning and night and plus the stay options are mostly winded up especially on Manali = Leh Highway. People do make the journey during this time but it has its own perils along with occassional snowfall. It is monsoon time in general up there in North and at some parts of Manali – Leh Highway (like before Baralacha La) and Srinagar – Leh Highway (like before Kargil) you might need to face monsoon hassles but once you get closer to Ladakh, then Ladakh being rain shadow region is least affected by monsoon rains. Landslides or slush or road blocks are pretty common in the month of monsoons but these landslides are cleared in a day or two unless there is a very major one. Having said that, rains does reach Ladakh nowadays but in general, it is overcast days or in form of light drizzles. I will suggest you also read my article on 10 Tips for a Trip to Ladakh in Monsoons. You can also refer to the link in our community: FAQ | Is Monsoon season good time to travel to Ladakh? for more details. Sijas, you will sure be going through monsoon hassles. It is monsoon time in general up there in North and at some parts of Manali – Leh Highway (like before Baralacha La) and Srinagar – Leh Highway (like before Kargil) you might need to face monsoon hassles but once you get closer to Ladakh, then Ladakh being rain shadow region is least affected by monsoon rains. Landslides or slush or road blocks are pretty common in the month of monsoons but these landslides are cleared in a day or two unless there is a very major one. Having said that, rains does reach Ladakh nowadays but in general, it is overcast days or in form of light drizzles. I will suggest you also read my article on 10 Tips for a Trip to Ladakh in Monsoons. I will suggest based on above articles and suggestions in them, you can easily make up your mind. Thanks a ton for all the blogs..
Me along with 2 friends planning to go to Manali-Leh-Ladakh-Sringar-Punjab strating this July 8th. I have worked out a rough itinery. Please suggest me any changes in this as we 3 are first timers and confused with the ride time and all. 14th-Leh to Srinagar ( Visit pather sahib, hall of fame, Lamayaru, pass Dras,Kargil and reach Srinagar-night @srinagar)(Confused whether we could ride this at a stretch or to take night halt at Kargil) pls advice. please help me if any corrections needed. I will suggest that you rest in Leh after reaching to Leh for at least one day. Then make two day trip to Nubra Valley and then one day trip to Pangong Tso. Then go over to Srinagar. this should be minimum plan even if it means dropping Kashmir places and others. Else it does not make sense for the trip. I am confused whether to prebook hotels or book hotels going there especially because we are 7 of us and will be staying at Hunder, Pangong tso, tso moriri, Hanle. We will be visiting in aug end. I have similar doubt on pre renting cab and bike or renting over there. I am confused whether to prebook hotels or book hotels going there especially because we are 7 of us and will be staying at Hunder, Pangong tso, tso moriri, Hanle. Online rates seems very high as of now. We will be visiting in aug end. Could you please advice me on this. In general as per reports by other members of the community, it looks fine. No major issues reported. Thanks Dheeraj. We will hire a taxi from Manali and spend the night at Solang Valley. We plan to reach Manali around 1 PM on Saturday 23rd Sep and plan to start driving early on Sunday morning from Solang. We plan to not pre-book and go to the taxi stand on Saturday and negotiate and finalize. 1. Will we have enough time to book a cab that day? 2. Are there any permits we will need to take? Will the offices for that be open on Saturday afternoon? 3. Are the drivers generally OK picking up from Solang valley? It might be difficult at 7 AM as most drivers come by around 8-10 AM types. But, any early starters you may be able to find. 3. Yes, they will pick up guests from Solang Valley. My hotel owner is telling that inner line permit is still required even for Indians for nubra and pangong. Is it true? All my colleagues had to take this permit during their visit in 2017. Thanks a lot for your excellent support with this DOW page, got to know a lot about leh trip. Thanks again. Really exciting itinerary. Shall be working on finalizing my itinerary soon! Sure, feel free to post any further questions you have for your trip. Your posts are extremely informative for first-timers. So first of all, I owe you a big thank you! Day 1: Morning flight to Srinagar. Srinagar to Kargil. Night stay there. 1. I wanted to know if Day 9 and Day 10 back-to-back will be too hectic, and if we should return to Leh from Pangong. Also, how long is the journey from Nubra to Pangong, because I really want to spend some time in Pangong. Some of us will be flying out on Day 13 itself, so if it’s not a big deal, we want to complete the trip within Day 12. 2. Can I include Hanle in the buffer day (in case you advice me to not travel directly to Tso Moriri) as : Pangong Tso-Hanle, and then Hanle-Tso Moriri on the following day? Also, what are the procedures for getting the permit at Hanle? There is no point going for the Padum in just two days at hand, it will put you through treacherous journey just to sleep one night and come back again. Rather best you can do is Kargil – Rangdum (cover Penzi la), Rangdum – Lamayuru, Lamayuru – Drokpa region – Leh. The extra day now you have got is to be used to visit Hanle like Leh – Nubra Valley, Nubra Valley to Pangong tso, Pangong tso to Hanle, Hanle to Tso Moriri. In one of your blogs, I read that the conditions are more harsh at Rangdum and hence I opted to stay at Padum. If it’s not too inconvenient for you, can you share the places I can visit if I choose to stay at Rangdum and follow the route you suggested? Also, is it feasible to go from Pangong to Hanle to Tso Moriri in a day? We will be booking a cab for ourselves, so you can advice accordingly. Yes, that is true but it does make sense if you have days in hand but for just 2 days going another 5 Hrs of a bumpy ride in a day is not advisable. LA Himalaya home stay has attached toilets too now at Rangdum, so facilities have improved there. 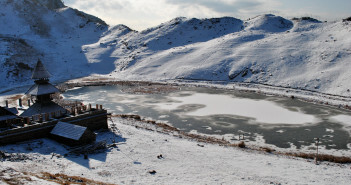 When you stay at Rangdum, you can visit Penzi La Pass and the two lakes that comes on the way to it. Plus it is the nature and the journey which is enjoyable to Rangdum. Of course, Rangdum monastery too offers very nice views. Pangong tso to Hanle = Day 1 and Hanle to Tso Moriri – Day 2. I am thinking of extending the stay at Padum to 2 days. Then what are the possible places I can explore? Also, if I have to choose between going to Tso Moriri or Hanle, which one will you advise? Again, thank you and my apologies for bothering you so much! I will choose Hanle because it has a different beauty than the lake which you anyways will visit Pangong Tso. I’ve gone through the recent notification given by the bikers union. We are hiring delhi registered bikes for our ladakh trip. Will this be a problem? We are transporting our own bikes to jammu and back from mandi and are a group of 8.. Please check the itinerary and comment! We are planning to hire a Private vehicle(White Number Plate) in Delhi(The driver is the owner) for our ladakh trip. Will there be any problem with the taxi unions in LEH if we do so. Jitesh, as long as you all can share the same story in case someone talks about that whose car is it, who owns it and is he a friend or not, it should be fine. 1.Does this itinerary looks fine and how will it be in August end weather wise? 2. Do cab drivers be ready to take the direct route to Pangong to tso Moriri? You have mentioned 2 routes in your earlier posts which are short distance wise and more scenic but has some problems and 1 which is longer(via Upshi). So could you please advise us on which is the best route to take. 3. Can sham valley be covered on 2nd day if and only if we feel good? Or is it a risk? Because 3 of us will be leaving early i.e. on the 8th day, 2nd sept.
4. We have one day which we haven’t planned yet so could you please suggest us places or activities that can be done..
5. We read about Zanskar river rafting.. Is it worth experiencing during our visit time? Thank you Kruthi for warm words, glad these articles are helpful. 1. Ladakh is rain shadow region and since you are flying in, it is fine. The plan should include Hanle from Pangong tso which will help break the journey and next day you can reach Tso Moriri. 3. If you sleep well, on Day 1, attempt Sham Valley on Day else keep it as is to relax. 4. Hanle it should be. Thank you Dheeraj for a prompt reply. Also are there any nearby places apart from these which we could cover on bikes for the rest who will be staying back. As the roads were open from nubra to Pangong tso we went there directly saving a day and visited tso moriri too! Thanks a ton for suggesting visit to Hanle. The journey to Hanle itself is the most beautiful one that i have witnessed. We camped at hanle and unfortunately received heavy rainfall same night. But we were prepared with mattress and sleeping bags so all went good. Had a wonderful experience. Would like to mention about Padma homestay near to which we had pitched our tents.. They were very kind and helpful, allowed us to use their washroom the next morning and even denied any money that we were offering. But overall it was a wonderful experience. Will try and visit ladak again. It is wonderful to know Kruthi that you had an amazing trip. Thank you so much for sharing the feedback as well but also on the side note sad to hear the story of Turtuk. Sonam Dorje rocks at Hanle !! One of the many humble and noble souls in Ladakh.